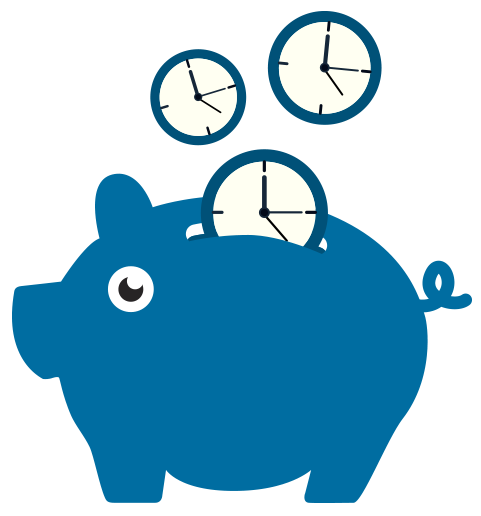 We worry about accurate, timely payroll more than you do. It's what we do. We've been trusted by small businesses since 1977. Starting at $10.50 per payroll, up to 5 checks. Our payroll professionals review every payroll and answer every call. Of course, 100% client satisfaction is always guaranteed. Call us or fill out the form below to get started. 1. How Often Do You Pay Your Employees? 2. How Would You Like to Receive the Checks? Let us handle the stuff you don’t want to. We’ve been trusted by thousands of small businesses to handle their payroll since 1977. As payroll veterans, we handle the details of payroll preparation and tax filing expertly and efficiently. Clients have been with us for over 10 years, some as many as 30 years! In 2016 we processed $441 million in gross wages for their 25,000 employees. AICPA-SOC Audit approved all procedures and policies. Frustrated with your payroll provider? Having trouble accruing vacation and processing sick pay? We can help. Your payroll data is accessible from our secure servers when you need it. This data includes reporting, payroll input and manual check calculations. We interface with many leading time and attendance systems to make your life easier. After 34 years we have learned the value of good communication with our customers. In the past 17 years, we’ve processed more than $900 million in employee payroll payments. We create a Payroll Summary report with each payroll processed. We notify you the instant your payroll has been processed, providing you with a copy of the Payroll Summary report and summary totals of the payroll. You will have a dedicated account specialist who understands your unique business needs. This person is always available to discuss any questions you may have about tax laws, compliance, filings, etc. We asked a restaurant owner to make a comment about our service for over 30 years. We can easily ask 1000’s of customers the same question. I wanted to drop a note to thank you and your staff for the years of wonderful service you have provided us. We have been with your company for more than 20 years now, and I feel very strongly about our relationship. As the years go by, your service has grown with us, meeting every need that goes with that growth. Your staff has continued to provide excellent and prompt service, ensuring that our employees are paid on time and all their questions are answered and needs are met. We have been a client of TJH Payroll for more than 20 years. We appreciate the fact that they are a family-owned-and-operated business. TJH Payroll offers excellent customer service. Our representative has always been able to quickly answer any questions that we have. We appreciate their hard work. I was referred to Tom Hull Payroll from a long-standing client of yours. I needed a service that was reasonably priced and able to accommodate my clients’ changing needs on the fly and in an ongoing fashion. My clients are elated with my ability to respond to their payroll needs in a timely fashion, and I am excited about the easy-to-understand reports you provide, your knowledgeable and friendly staff, and the quick turnaround payroll runs. Tom J. Hull is one of the very few payroll companies that customize and personalize clients’ services to perfection. With the knowledge that this company has about their clients, they are able to give their clients precisely what they want and need. I had my own personal representative for the past 7 years, and that is the primary reason I’ve stayed with Tom J. Hull. Her name is Alice R. Minniefield, and she goes beyond her scope of duties and responsibilities. because we’ll solve your payroll problems.